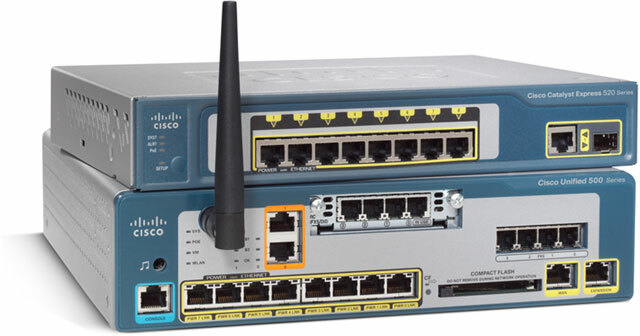 The Cisco Unified Communication 500 Series has been discontinued. No direct replacement is available. Cisco Unified Communication 500 Series for Small Business combines voice, data, video, security, and more into one easy-to-manage solution. Use advanced communications capabilities including telephone call processing, voicemail, automated attendant, and conferencing functions to respond to customers faster and save money on long-distance charges. Conduct face-to-face meetings through video calls with Cisco Unified Video Advantage (requires Cisco USB Camera). Help employees be more productive and collaborate better through access to applications and information from anywhere they work. Integrate with existing desktop productivity applications such as calendar, email, and customer relationship management programs.